I had the opportunity to donate a custom quilt as an item for a silent auction at a gala benefiting the East West Players, a renowned Asian American theater troupe. 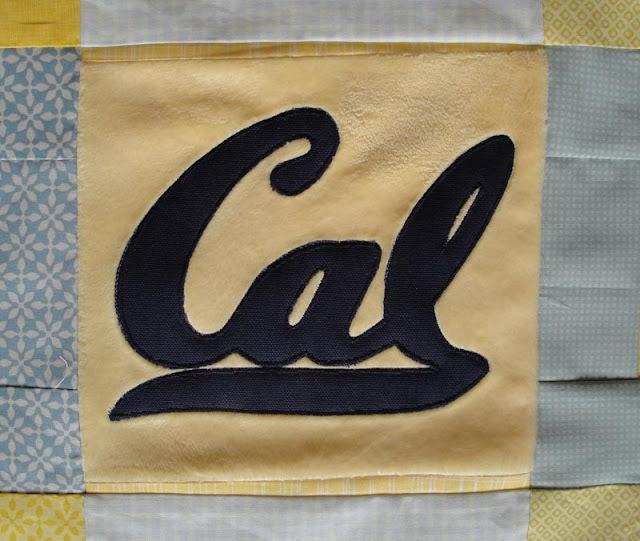 To give potential bidders a sense of the quality and style of my work, some very good friends allowed the use of their Cal quilt as a display item. 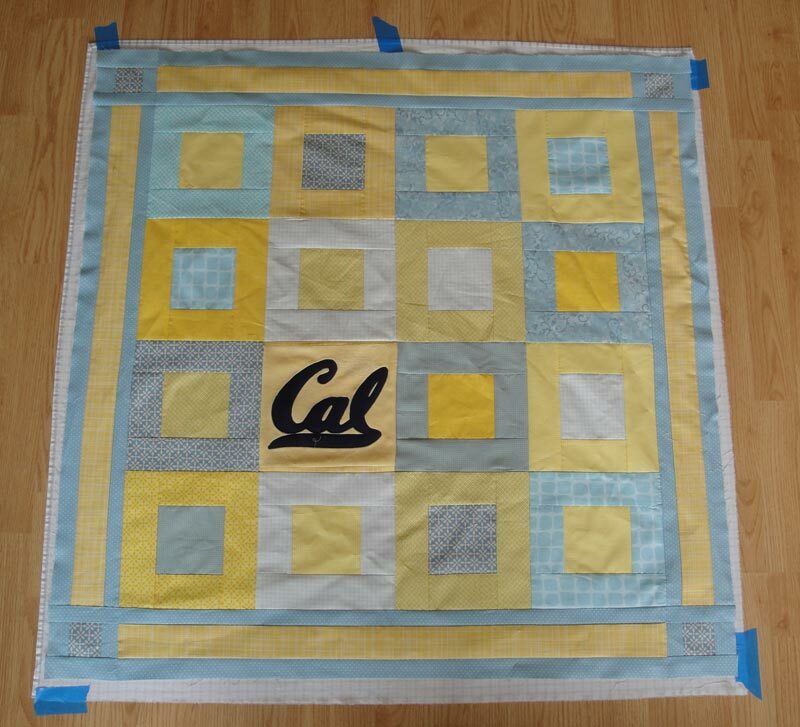 All that's left now is to custom quilt everything and handsew the binding.